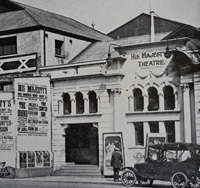 In 1888 the South African Hotel and Tavern on the western side of Church Square next door to the Netherlands Bank, where the Capitol Theatre now stands, was converted to a theatre with room for 350, it was initially called The Alhambra Theatre. 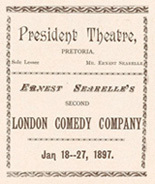 At some stage before 1897 the name was changed to the President Theatre and for a while was the only theatre in the city. The theatre was again renamed the Empress Theatre in 1903 and retained that name until 1910. It was demolished c1922.